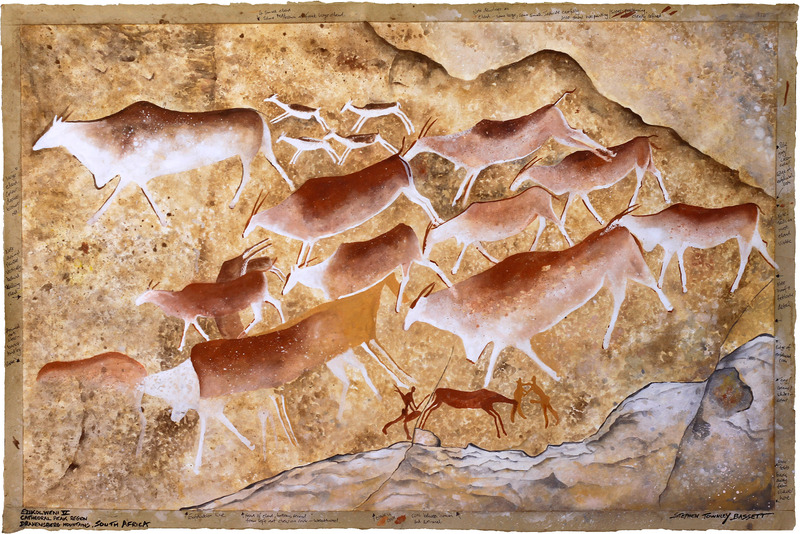 Stephen has for the past 30 years devoted his life to art and in particular, to the meticulous documentation and preservation of South Africa’s rock art heritage. His millimetre accurate, life size recordings are painstakingly rendered with natural pigments and materials collected in the field. His paintings reveal a wealth of detail and imagery that is often faded and not clearly visible to the untrained eye. 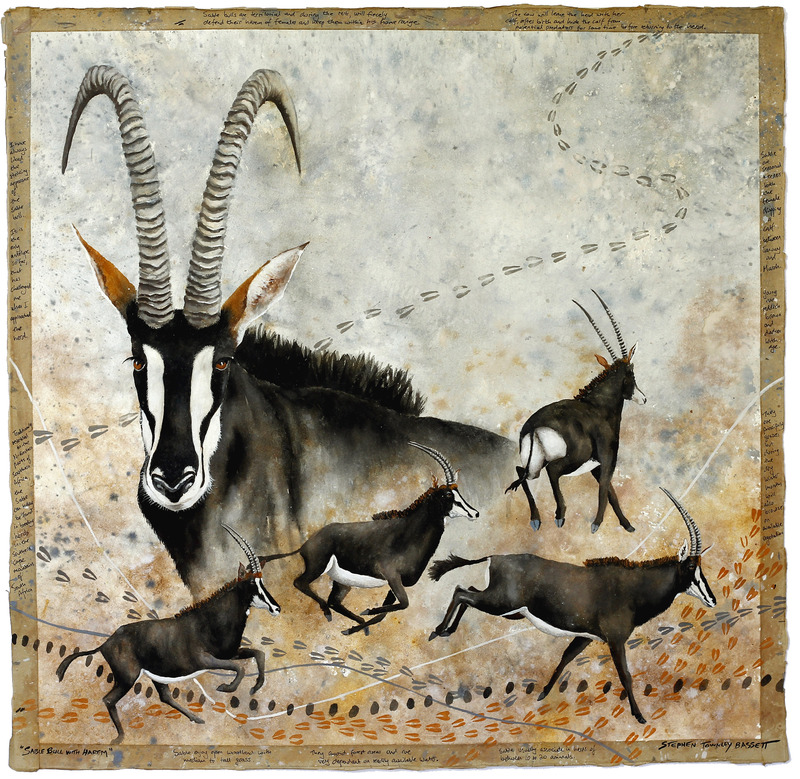 In his Dreamline genré of work, Stephen uses his vast knowledge of ancient paint making to depict the African Landscape and wildlife in a unique and refreshing way. The paintings are created in mixed media using pigments and binders from the African soil. The narrative in the margins of these paintings makes them unique and provides us with thought provoking insights into the images depicted on the canvas. Stephen is the author of three books on Rock Art in South Africa. 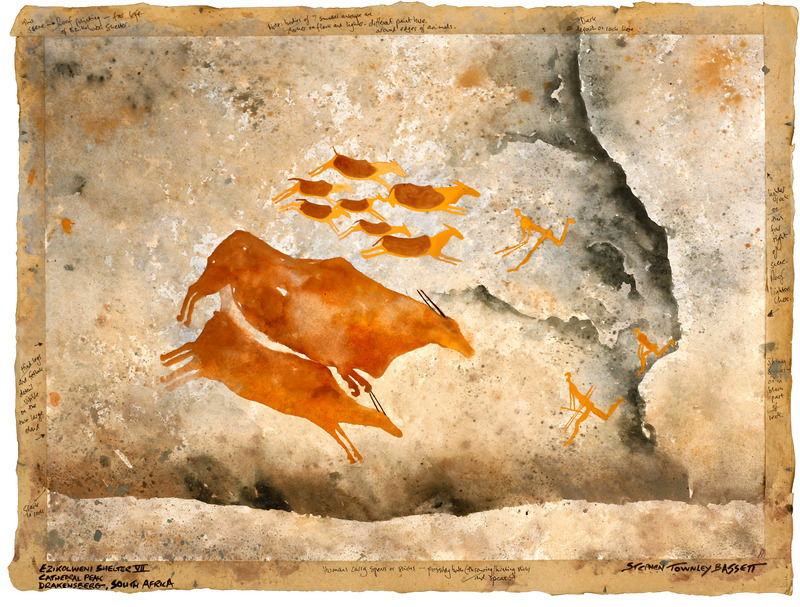 He has been featured in film documentaries about rock art on the Outdoor Channel, SATV, BBC and CNN.